Bret specializes in risk management and insurance for the Construction and Manufacturing industry. 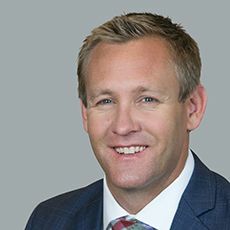 His experience includes developing insurance programs and offering risk management counsel for both large and small firms in California, as well as driving strategy and business development efforts in the Construction and Real Estate practice. Bret’s approach involves partnering with his clients to improve their overall risk profile and to manage their cost of risk, helping to drive better business results. Bret joined Woodruff Sawyer in 2004 and continues to be actively involved in industry associations such as American Subcontractors Association (board member), Construction Financial Management Association (CFMA), and Associated General Contractors of America (AGC). He is a past board member of United Contractors. Bret earned his bachelor’s degree in finance from Cal Poly, San Luis Obispo and his MBA from San Francisco State University. He holds the CPCU, CRIS, and ARM designations.